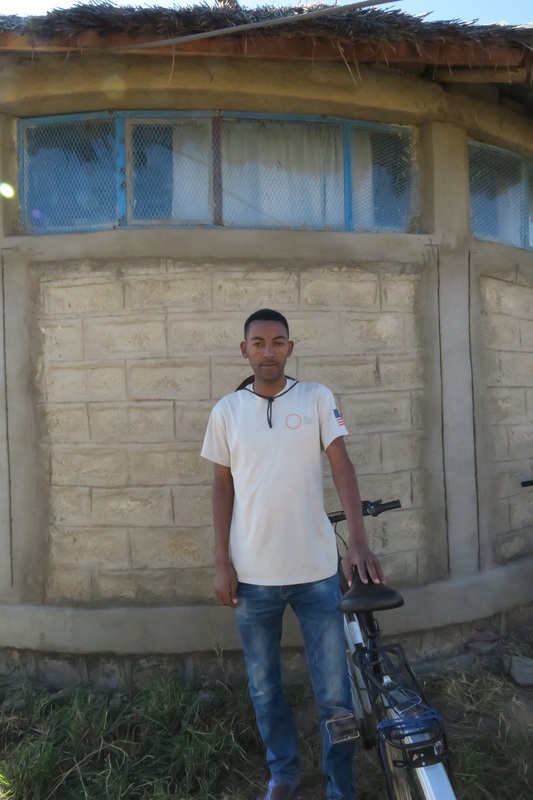 Andom Redae is a psychosocial counselor, CVT Ethiopia. A client said to me “I feel like I am a human being again” after he finished CVT’s group counseling cycle in the Adi Harush refugee camp. As a psychosocial counselor here, it is very rewarding to hear this. I know what he had been through, and I know how hard he worked to rebuild his life. My favorite part of my job is seeing clients make significant changes from the counseling. Before I came to Ethiopia, I completed a post-diploma certificate in Law from the Supreme Court of Eritrea, and I worked with an Eritrean NGO in prevention of and awareness raising of HIV/AIDS issues. Once I came to the refugee camp, I was interested in working for CVT because I want to help people who have been through difficult experiences. I am particularly interested in helping refugees develop coping skills. This is important to me because of my experience in Eritrea. I knew that many in the community had lived through very challenging situations. I had heard that CVT was helping people. Many people who had experienced very difficult situations sought CVT’s help to cope with life and to help get their life back to normal. I wanted to work here so I could help them. I learned that CVT had a position vacancy in the camp. I applied for the job and went through the exams and interview processes. I got the job. What is most important in this work is seeing clients give dignity and respect to themselves again. I see this in the group counseling sessions – they give respect to themselves and begin getting back to normal. At CVT, we help them with this, and it is very important for the individuals and also for the community. When clients finish the group sessions, they begin to have new experiences. They find self-respect and take this new feeling into their daily lives. Many clients feel worthless when they come to us. CVT is always ready to listen to their experience, and we work to show them how to give value back to themselves. We help them feel dignified again as human beings. This is a meaningful part of my role and part of my regular work every day. I do sensitization events, which are designed to educate the community about how trauma and difficult experiences can impact people, and the care CVT provides. From these sensitizations, we are able to identify clients from the community. For those who want services, I conduct pre-screenings and go through an assessment process. I assign clients to groups, and then I participate in the groups and follow up after clients have left the program. Many times clients have told me later, after they complete the group counseling sessions, that before coming to CVT they had feelings of worthlessness or valueless after their difficult past. After one client finished the group, I saw him helping himself every day – today he is working, earning money. He used to feel isolated, but after the CVT sessions, he considers himself part of his community again. I see hope when I see clients get back to normal – after the counseling sessions, they have a normal life and are engaging in the community. After counseling, they develop new experiences in a new life. I really appreciate the work CVT is doing all over the world.